This year over 60 teams have their eyes and shovels set on winning the prestigious Golden Bucket Award at one of the largest amateur sandcastle building competitions in the world, the AIA Sandcastle Competition will kick off at 9 a.m. with teams of architects, designers and engineers competing for a chance to win the coveted Golden Bucket Award. The event, sponsored by the Houston Chapter of AIA, is free for the public to attend. Gates will open at 9 a.m. The teams will build from 10 a.m. to 3 p.m., during which the public can vote for their favorite sandcastle. Winners will be announced during an awards ceremony at 4:30 p.m. The judging of the sculptures is rated on originality of concept, artistic execution, technical difficulty, carving technique, and utilization of the site. In addition to the Golden Bucket, awards are given in several categories including Best Traditional, That’s Entertainment, Most Complex, Stars & Stripes, Best Architectural, Most Hilarious, Most Lifelike/Realistic as well as best team t-shirt design, best team signage, best costume, and public favorite. At the end of the day, everyone goes home with memories of a great day at the beach filled with fun, sand, and sun. 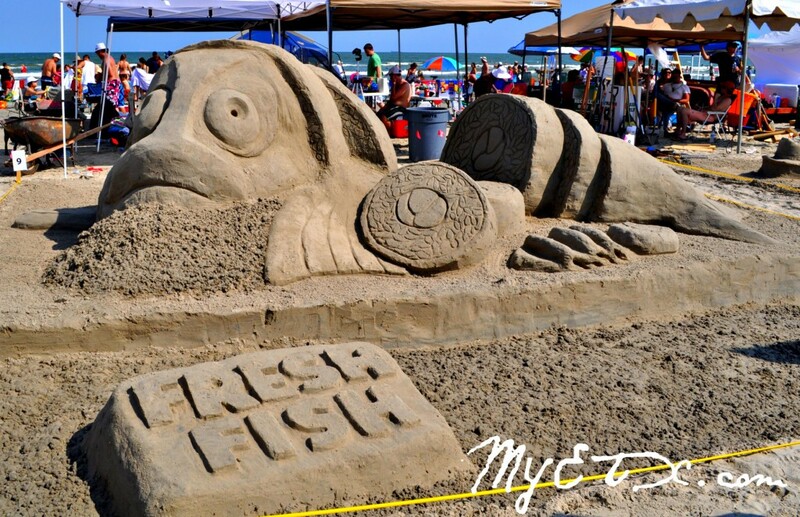 This year AIA Sandcastle is helping the City of Galveston in an attempt to break a world record for the most aluminum cans collected in an eight-hour period on May 31 in conjunction with the AIA Sandcastle Competition. Teams, sponsors and spectators will assist in this effort by collecting their cans during the competition. This year there will be a shuttle service running from Stewart Beach, 201 Seawall Blvd., Galveston, TX 77550, to East Beach from 10am-6pm. Parking at Stewart Beach is cash only collected by the Galveston Parks Board. There is no ATM. Please respect the hard work of participants by not touching any of the sand sculptures even after the event. Many spectators visit the beach the next day, on Sunday, to view and enjoy the sculptures. For more information visit www.AIAHouston.org. Galveston Island, Texas- The island’s historic City Cemetery on Broadway is floating on a sea of firewheels and coreposis this May. 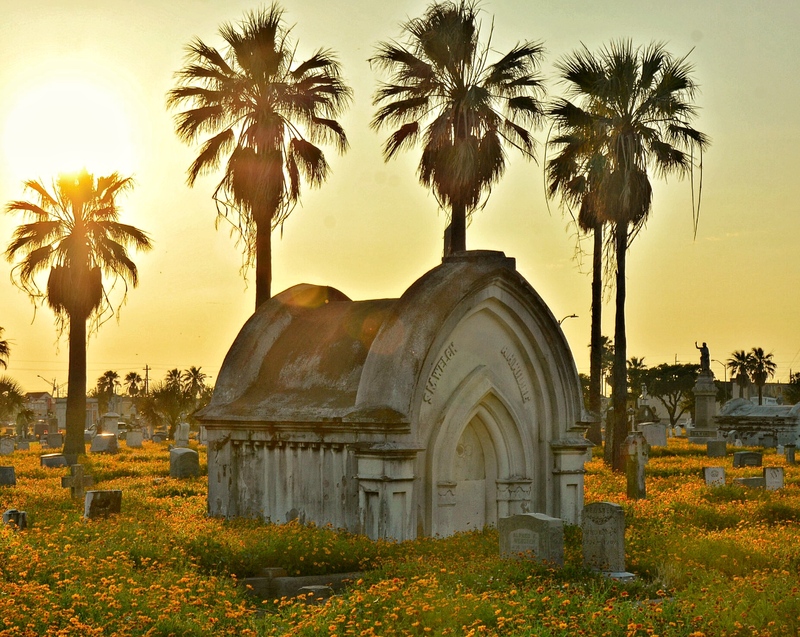 Known for being the final resting place of many who died in the Great Hurricane of 1900, the cemeteries are also known for the yellow blanket of Texas wildflowers they adorn each May. No need to bring flowers if you visit this cemetery in May!